This is a fabulous collection of poems for everyone interested in walking; the affects, sensibilities and the bodies. It does what it says on the tin. These are poems for and about a performed walking. 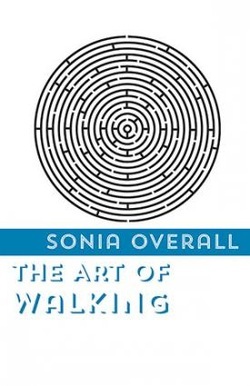 There are poems of quiet psychogeographical reflection; in a cafe, in a town closed for the day – “You were looking for a September Revolution but ended up with pigeons” – but in others Sonia Overall engages directly with the walk and walking. Her ‘Margate, 5th May’ in which she strolls a Hamish Fulton exhibition embraces Fulton’s asceticism and then explodes it. Her poems can be plundered for instructions – “begin wherever the arrow falls”, “walk to empty your head. Walk to fill it” – and for premonitions of where these offers will take you: “you begin to understand the vastness, the space of the shell and the space beyond the shell”.